How long does it take to get divorced in Florida? In order to get divorced in Florida, you or your spouse must have lived in Florida for at least six months. If you meet the residency requirements, how quickly the divorce (called a "dissolution of marriage" in Florida law) can be obtained usually depends on the individual case. If you were married for a short time and have no kids and have no assets or liabilities to divide, it is possible to get a dissolution of marriage wrapped up in a few weeks. However, if there are issues that need to be resolved, it can take much longer, and very contentious cases can even take over a year. If you would like to discuss your options for a dissolution of marriage, just click HERE to claim your free consultation with Attorney Windy L. Wilkerson. What is a contested divorce v. an uncontested divorce? If you have already looked around or called around in contemplation of hiring an attorney for a divorce (called a "dissolution of marriage" in Florida law), you have probably heard different prices advertised for a "contested divorce" as opposed to an "uncontested divorce." So, if you and your spouse both want a divorce, that sounds like it would be uncontested, right? That would be a very logical conclusion. However, what an uncontested divorce has come to mean is not only that both parties want the dissolution of marriage, but also that both parties agree on all of the issues and terms, such as how property will be divided, how debts will be divided, how much alimony / spousal support (if any) should be paid, etc. If there are children involved, the contested issues can also include child support issues, parental responsibility, custody/ time-sharing, costs of extra-curricular activities, etc. At Wilkerson Law Firm, P.A. we often negotiate marital settlement agreements for our clients. Sometimes it is possible to have a signed marital settlement agreement resolving all issues before the divorce paperwork is even filed with the court, which can make the court case very quick and efficient. When an agreement can not be reached, we go to court and advocate for our client's desired outcome. If we have reached an agreement, can one attorney represent me and my spouse? No. The Rules of Professional Conduct and ethical rules would prohibit me or another attorney from representing both parties in a divorce. For example, what if I were to look over the agreement and think that your spouse is taking advantage of you or that there is a right you overlooked? As your attorney, I would need to tell you that. However, if I were your spouse's attorney too, I would be doing him or her a disservice by telling you that. There are just too many complications to be able to look out for the best interests of both spouses at the same time. Should I try to come up with an agreement before consulting an attorney so that the divorce is uncontested and less expensive? If you have a decent relationship with your spouse, it usually does not hurt to talk things over and try to agree on various issues. This works particularly well when there are no children and there was a short marriage with no special issues. However, in most cases, the attorney's role in helping you reach an agreement and drafting a written marital settlement agreement is one of the most important roles in the divorce process. Your attorney will know what your rights are under the law, your attorney can spot issues you may not have considered, your attorney can help facilitate gathering your spouse's financial information, your attorney can negotiate on your behalf, and your attorney can draft a legally binding written marital settlement agreement that covers the important aspects of the divorce. There are additional actions your attorney can take on your behalf, but these are a few examples. For this reason, it is best to consult with an attorney. How much does it cost to get divorced in Florida? When it comes to the price of a legal case, there are usually two components: 1) attorney's fees and 2) costs. FEES DISTINGUISHED FROM COSTS: Attorney's fees are the fees that pay the attorney for the attorney's services and representation of you. The attorney or his or her law office receives the attorney's fees you pay. Costs are the out-of-pocket expenses of the case, many of which would be incurred even if you were to represent yourself. An attorney may collect the costs, but an attorney does not keep money paid for costs, rather it goes directly to the source of the costs (unless the attorney already paid for or advanced the costs for you and is being reimbursed). The attorney should not mark up or make any money from the costs. COSTS: Some examples of costs would include the costs of filing a case with the court and serving the other party. For example, as of the time this post is being written, a divorce case (or "dissolution of marriage," as it is called in Florida law) costs $408 to file in Hillsborough County, plus there is an online convenience fee when the case is e-filed, plus there is a cost for a summons to be issued by the clerk so your spouse can be served with the divorce papers. There is then a cost associated with paying a process server to go to your spouse's home or business and serve the summons, if necessary. If the divorce is contested, and you need your attorney to take a deposition of your spouse or a witness, there is a cost that a court reporter will charge to come and take down the deposition testimony and an additional cost to type it up in proper format and prepare a certified transcript. These are all examples of expenses. So, when you consider the price of a legal case, both attorney's fees and costs of the case must be kept in mind. Some cases will require more costs than others. For example, if you and your spouse have substantial assets, and you feel your spouse is hiding assets or may have dissipated assets, it could be necessary to involve a forensic accountant. At Wilkerson Law Firm, P.A. we keep your costs down as much as possible, but at the same time, we will certainly recommend anything we feel is necessary to get you a favorable result in light of all the factors unique to your divorce. For our clients' comfort, we can arrange to have our clients approve any costs over a certain value prior to incurring the costs on their behalf. ATTORNEY'S FEES: As far as how much an attorney charges for fees, it often depends on the facts of the case and is often based on how much attorney time and service is necessary to effectively handle the case. This is the reason most attorneys charge hourly fees for divorces -- it is very difficult to predict how much time it will take to resolve a case. If you have a case that you believe will resolve at a mediation, you don't want to be charged a fee as if the case will certainly include a protracted trial or final hearing, so an hourly fee could be best for you as well as the attorney. On the other hand, if your case is extremely litigious and a long final hearing or trial occurs, a flat fee might have worked out better for you. A flat fee is a lump sum attorney fee that is not based directly on the amount of hours or time expended. There can also be hybrid fees that include lump sum amounts with additional payments under additional circumstances. Most attorneys often charge a significant retainer and/or down payment to get a case started when there is an hourly fee arrangement. Attorneys can often craft fee arrangements that you desire. If you have a proposal for a fee arrangement or payment plan, it does not hurt to ask an attorney if he or she would accept your proposal. However, in Florida, a family law case can not have a contingency fee arrangement. 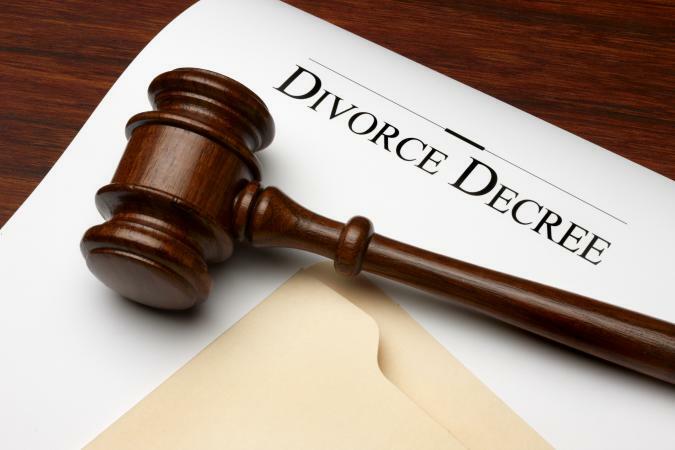 In other words, the fee can NOT be based on a percentage of what you recover in your divorce. With regard to hourly rates, I am aware of rates ranging between $125 per hour to $500 or more per hour. Sometimes you get what you pay for, and sometimes you can just get overcharged. Thus, you shouldn't reject an attorney who is charging economical fees nor should you assume you are hiring the best attorney because he or she charges more than all others. What you want to do is find the right attorney for you, someone with appropriate qualifications, a good reputation, and someone you trust, and someone whose fees seem reasonable to you. ORDER FOR SPOUSE-PAID FEES: In family law cases, depending on the party's need for such and the other party's ability to pay, there are times when the Court can order your spouse to pay your attorney's fees. Conversely, depending on the circumstances, you can be ordered to pay the attorney's fees of your spouse. ADDITIONAL INFORMATION: At Wilkerson Law Firm, P.A., we accept all major credit cards. We are happy to meet with you in a free consultation, learn about your case, and give you an estimate for our services for your particular case. Also, we have a standard flat fee rate for a very specific type of case: for Hillsborough County divorce cases in which the parties have been married for less than three years AND there are no children AND all of the property and debts have been divided AND both parties are in agreement on EVERYTHING AND there are no special issues, we can offer our client a flat-fee attorney's fee of $500 plus costs (costs are not included in the $500 and are the client's responsibility). This includes everything but costs -- all consultation and communication, preparation of pleadings, drafting a marital settlement agreement, going to court with you if a court date is required, etc. If you would like to schedule a consultation to discuss a potential divorce or other matter, please contact us at 813-438-8708. THE INFORMATION ON THIS WEB SITE IS INTENDED FOR EDUCATIONAL PURPOSES ONLY AND IS NOT LEGAL ADVICE TO BE RELIED UPON IN A SPECIFIC CASE. VISITING THIS WEBSITE DOES NOT CREATE AN ATTORNEY / CLIENT RELATIONSHIP. WHILE THE BEST EFFORT IS MADE TO PROVIDE ACCURATE INFORMATION AT THE TIME OF POSTING, THERE IS NO WARRANTY AS TO THE ACCURACY OF THE INFORMATION OR THAT IT WILL BE UP-TO-DATE OR THAT THE LAW WILL HAVE REMAINED THE SAME AT THE TIME IT IS BEING READ BY YOU. Do you feel overwhelmed by all the information you've read about getting a divorce? No worries -- there's no test, and Wilkerson Law Firm, P.A. is a full service law firm. We take care of you! 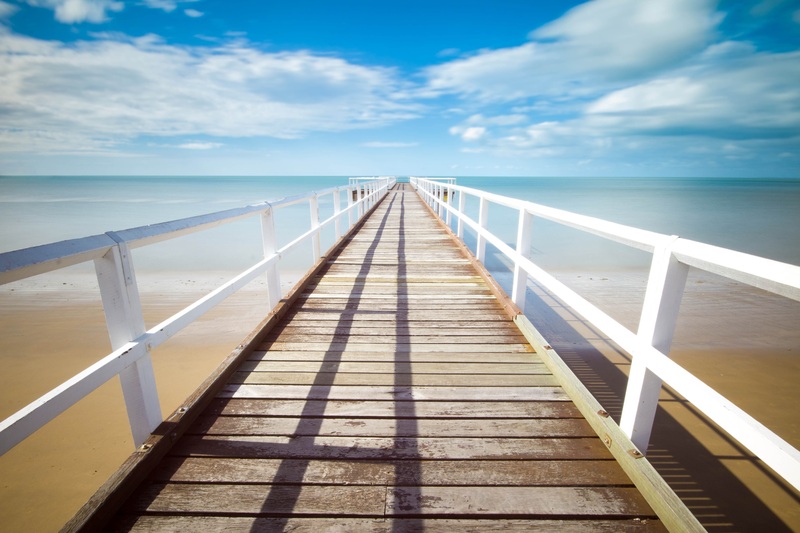 Are you ready to take a step forward? If so, you can set up your free consultation by contacting us at 813-438-8708.